Probashbangla24 online Desk : Cabinet ministers raised concerns about potential compromises with the EU over Brexit at a No 10 meeting. They are thought to fear the UK will stay in a form of customs union with the EU for an unlimited period, if a trade deal cannot be done in time. No 10 has insisted that any such arrangement would be “time limited”. EU leaders meet in Brussels next week for what European Council President Donald Tusk has called the “moment of truth for Brexit negotiations”. They are not expected to reach agreement with the UK next week but say they want to see if “decisive progress” has been made to convene a special summit in November, to finalise a deal. Meanwhile, it has emerged that a motorway in Kent is being shut overnight as part of contingency preparations in case the Brexit negotiations ultimately fail and the UK leaves the EU in March 2019 without a deal. And Northern Ireland’s DUP, which supports Theresa May’s government in key Commons votes, has warned it could vote against her Budget next month, if Brexit negotiations result in trade barriers between Great Britain and Northern Ireland. The UK is due to leave both the customs union and the single market when it leaves the EU in March 2019. Trying to resolve what should happen on the border between Northern Ireland and the Republic of Ireland – an EU member – has been a key sticking point in Brexit negotiations. 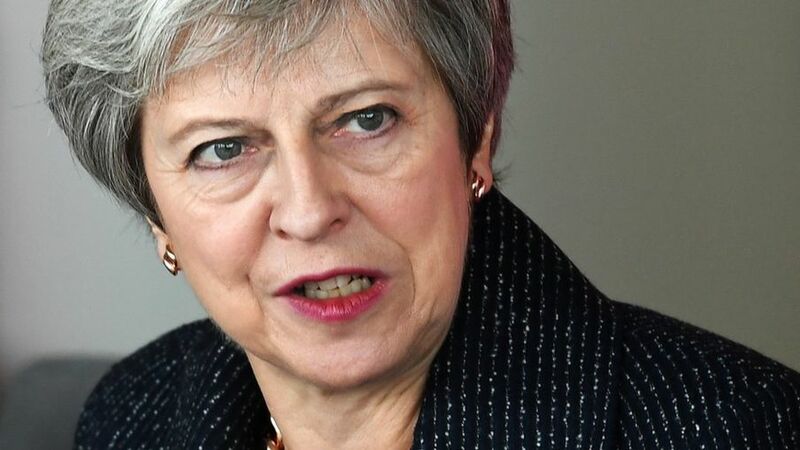 The UK and the EU both want to avoid a “hard border” – physical checks or infrastructure – should a long-term trade deal not be concluded before temporary post-Brexit arrangements designed to give businesses time to adjust come to an end in December 2020. Brussels has suggested that, if that happens, Northern Ireland should stay in the EU customs union – something the UK says is unacceptable as it would effectively create a border between Northern Ireland and the rest of the UK, down the Irish Sea. BBC political editor Laura Kuenssberg said it was understood that the EU was now prepared to accept the idea of the whole of the UK remaining in the customs union if a trade deal cannot be done during the so-called “transition period”. The EU has so far resisted British attempts to agree a finish date for the backstop, but many Conservative Brexiteers argue an open-ended arrangement is unacceptable. It is understood that cabinet ministers Liam Fox, Michael Gove, Dominic Raab and Jeremy Hunt expressed concerns about the possibility of such an outcome. And the BBC understands another senior minister, Commons leader Andrea Leadsom, was “thinking carefully about whether she could put up with such a compromise” amid speculation she could resign.